KENT MARINE TANK CLARIFIER is pH-balanced and works by attaching to unsightly particulate matter for easy removal through filtration. Will not harm corals, anemones, or other invertebrates. 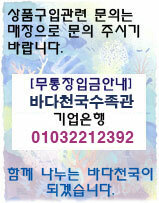 Safe for zooxanthellae and macroalgae. Excellent for reef systems or “fish only” aquariums. Does not contain nitrates or phosphates. Directions 1. Before application, thoroughly clean filtration system. 2. Monitor and adjust pH to the appropriate level. After Day 6, continue to use KENT Marine Tank Clarifier as part of a regular maintenance schedule by adding 8mL (1 ½ tsp) every other day or as needed. KENT Marine Tank Clarifier is slow-acting and may require several applications in order to achieve desired results. Maximum daily dosage should not exceed 15mL (3 tsp) per 55 gallons of aquarium water.